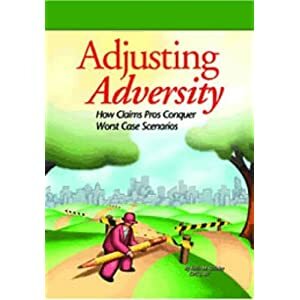 Recently a friend at the Insurance Institute of America contacted me to ask for tips on how claim managers could incentivize claim adjusting staffs to pursue continuing education. The latter would include – but not be limited to – taking courses in the AIC (Associate in Claims) program, leading to the designation. #1 Make CE one component of annual performance appraisals. If you want it to get done, you have to measure it. #2 Make CE pursuits one periodic (e.g. “coaching topic/opportunity” with reports). Repetition, repetition, rep .. Well, you get the idea. #3 Publicly recognize and praise those who pursue AND COMPLETE continuing education. #4. Enact/support corporate monetary rewards/incentives for CE program completion. $$$ is still a nice carrot, as is footing the bill to attend an annual conferment/convention event for employee and spouse. #5. Provide a reasonable amount of time and reimbursement support for CE pursuit within the office. #6. Offer CE classes or briefing sessions in-house, on Company time. Hey boss – roll up your sleeves and dust off those textbooks! #7. Leadership by example – be involved in CE as a “boss” and make sure your reports know you value the activity!